Among the main errors that are made to increase the risk of poisoning, it is indicated to maintain inadequate temperatures of conservation, insufficiently cook food, carry an incorrect hygiene and leave the products cooked at room temperature several hours. The severity of an intoxication and the symptoms that a person presents will depend on the amount of contaminated food ingested, the person and the type of organism that causes the contamination. The first symptoms usually appear between 2-6 hours after the ingestion. The most common are stomach upset, diarrhea, fever, vomiting, abdominal cramps, dehydration, generalized weakness, and headache. The people who are most susceptible to suffer from this type of ailments are children, pregnant women, the elderly and individuals with weakened immune systems so that special attention must be paid to these groups. According to the specialist, homemade mayonnaise is the ideal to avoid poisoning, the problem is that the risk of contamination is great if there is a lack of hygiene and handling. The leafy greens they offer in buffet restaurants may contain hidden bacteria. The expert points out that in these cases it is not enough to wash them with water (unlike at home, where you can sanitize the product as well), it is necessary to disinfect to eliminate microorganisms. Meats may also contain bacteria such as Clostridium perfringens. The meat should always be kept at a temperature below 5 º and, at the time of consumption, take it well done. Raw or cooked seafood may incorrectly contain viruses and harmful bacteria. To avoid intoxication it is necessary to follow some manipulation and hygiene measures. Thus, we should note that they have a good smell and a bright appearance (although the color of the mussels does not always reflect the quality, but indicates whether they are female or male). In addition, shell clams, cockles, mussels, and oysters should be hermetically sealed. If they are not closed it means that the animal is no longer alive. The liquid that sometimes comes off the shells has to be clear, abundant and with the smell of the sea. The sausages must be removed from the original packaging and stored in covered containers. Canned products have an internal varnish that preserves its contents; however, small bumps can break this protection. When opening a can, we must make sure that there are no bubbles, as if fermenting. Finally, the specialist points out that the hot dog sausage can carry the bacterium Listeria monocytogenes. To avoid consuming sausages that are not refrigerated, it is necessary to cook them for five minutes. 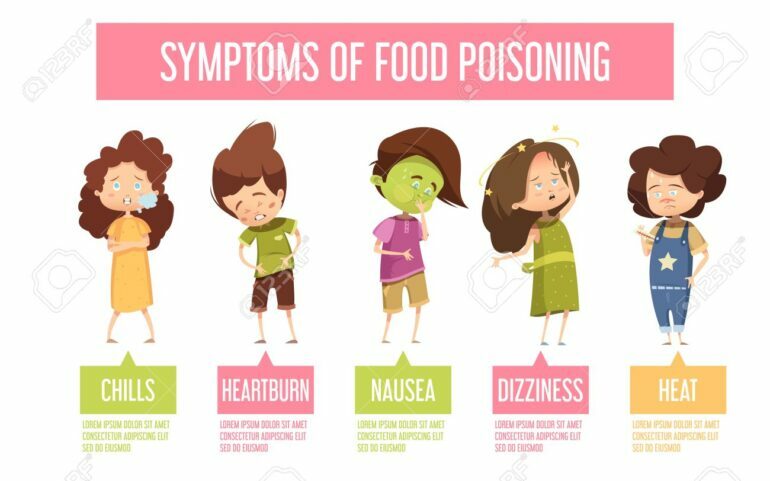 In most cases the poisonings are mild and the symptoms disappear in two or three days when the contaminated foods are completely eliminated. However, food poisoning can be aggravated even causing the death of the affected person, although these extreme and very infrequent cases are caused by Clostridium botulinum intoxication causing botulism. Drink plenty of fluids such as fruit juices, drinks without caffeine and broths to replace fluids and electrolytes. Reintroduce food gradually. We can start with soft and easy-to-digest foods, such as rice, toast or bread, cereal, lean meat, applesauce and bananas and avoid fatty, sugary, dairy, caffeine and alcohol foods until full recovery. Babies and children have special concerns. They are likely to become dehydrated more quickly from diarrhea and vomiting, so consult your pediatrician.